I am going through a cream cheese obsession. I dream about cheese cakes, I want it stuffed in a jalapeno and wrapped in bacon, and honestly… I could probably eat it with a spoon (although, I haven’t gone that far, yet). Not sure if it is the holidays making me crave cream cheese this much, or my current pregnant state, but I love the creamy, slightly tart and sweet flavor that it has. 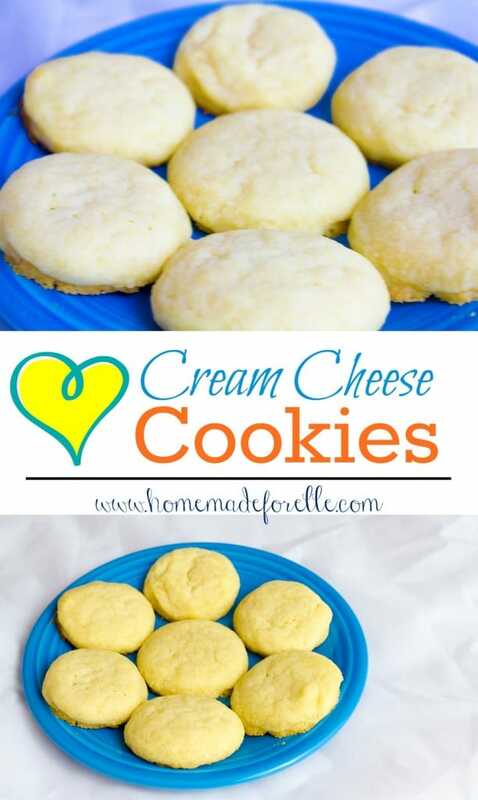 I can’t remember if it was Pinterest, or just a random craving, but I had an overwhelming urge to make cream cheese cookies. I honestly don’t think I have ever had cream cheese cookies before, but the idea seemed like a good one, so I went with it! 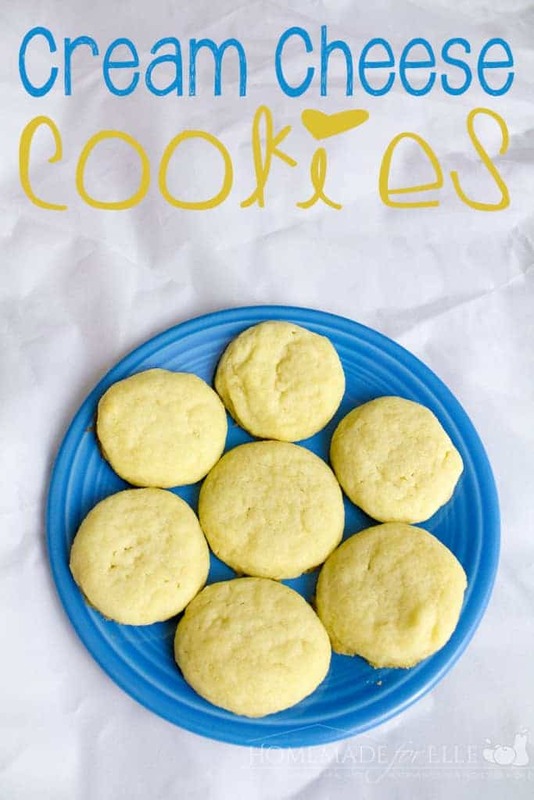 I grabbed my little sous chef (my four-year-old daughter) and we set to work whipping up a few batches of these delicious cream cheese cookies. And they didn’t disappoint! All three dozen were gobbled up in a day or two! Allow butter and cream cheese to soften by setting out at room temperature for 30 minutes. Preheat oven to 350 and lightly grease a baking sheet. 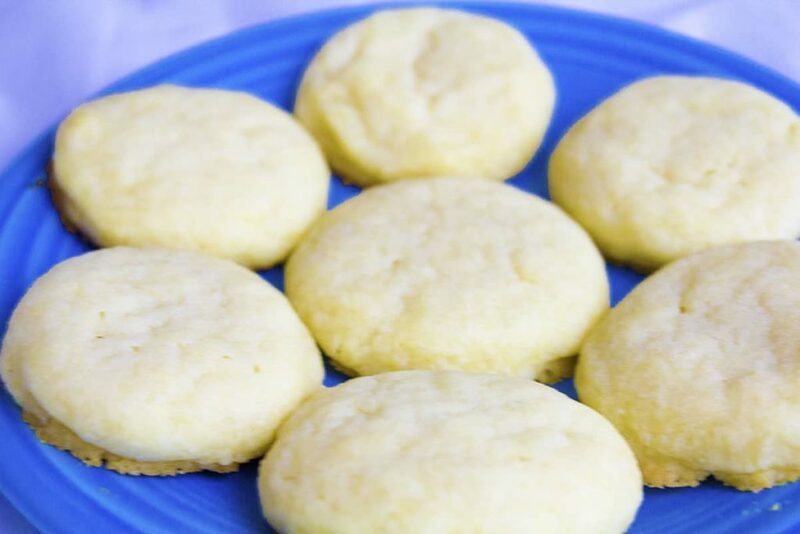 Combine butter, cream cheese, and sugar in a large bowl, and cream together with a hand mixer. Add in egg and vanilla extract, and mix until incorporated. In a medium bowl, combine flour, baking powder and salt. Add the flour mixture, 1/2 cup at a time, to the cream cheese mixture, beating well after each addition, until all fully mixed. 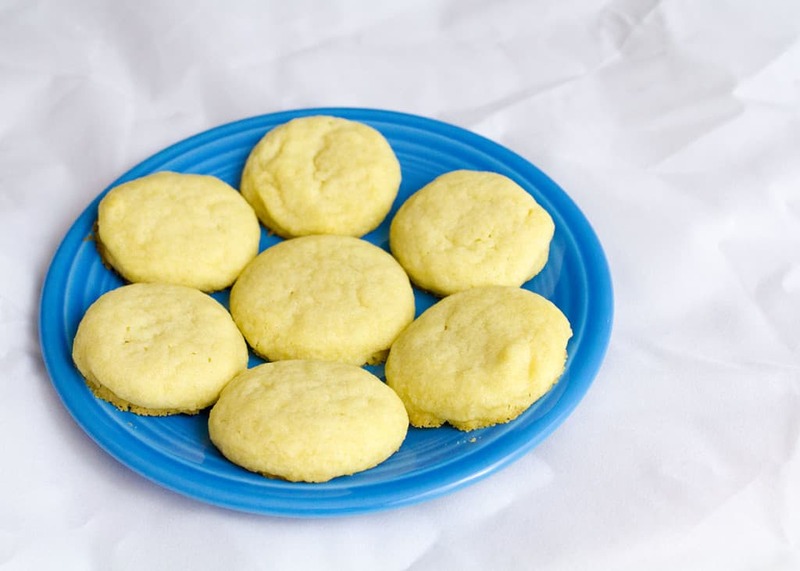 Divide out cookie dough into tablespoon-sized spoonfuls, and roll into small balls and place onto baking sheet, leaving enough room between each cookie. Bake in preheated oven for 8 – 10 minutes, or until cooked through. Transfer to a wire rack and allow to cool.